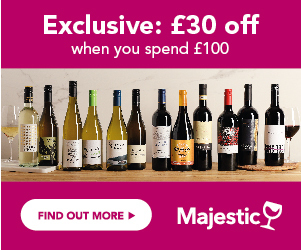 Compare the latest offers, deals and vouchers on Sauvignon Blanc wines from top UK merchants. Find your favourites using our search filters, look for awards and reviews to get the best quality at the cheapest possible price. Sign up for Price Alerts and we will email you when your chosen bottle goes on sale. Sauvignon Blanc is one of the most significant white wine grape varieties in the world having risen globally to perhaps even eclipse Chardonnay in terms of popularity and importance. Originating in the Bordeaux region of France, Sauvignon Blanc made its first major impression on the flinty soils of this country’s upper Loire Valley, in the name of the great wines we know as Sancerre and Pouilly Fumé. However, such is the versatility of Sauvignon Blanc that New Zealand has become not only its adopted home, but has created one of greatest wine success stories of all time – the white wines of Marlborough! Known as the fruit cocktail of grape varieties, Sauvignon Blanc has moved from its support role in producing wines for ‘light refreshment’ to creating complex and intriguing wines that have become the bench mark for quality in the global wine world. New Zealand Sauvignon Blanc wines have made such impact that they have created a new and exciting competition to those of France and therefore have been significant in providing such a great arena of quality white wines for us to choose from. Other countries too such as South Africa, Australia, Chile and Spain have capitalised upon this success and are beginning to make their mark in the wine world with their own styles of Sauvignon Blanc. Also in isolated areas of the Languedoc in south-west France some interesting wines are emerging. One of the most important reasons that Sauvignon Blanc retains its clarity of individual flavours is that it doesn’t respond well to oak maturation. Neither does it blend well with other grape varieties, apart from in Bordeaux where it does show an exception to these rules by partnering with Semillon [and occasionally Muscadelle], to create the great Graves white wines that have spent time fermenting and ageing in French oak. Did you know..."In Chile, Sauvignon Blanc was originally known as Sauvignonasse"
Also the majority of Sauvignon Blanc wines are made to be drunk young, within 2/3 years. Some more intense styles will go the distance of up to ten years but this is not the norm and it must be remembered that lasting the course does not always improve the wine! The Sauvignon Blanc wines of California have taken the French term of Fumé Blanc to describe the smoky style that they have become synonymous with, but these seem to be more popular in their homeland than abroad. Did you know..."The first cuttings of Sauvignon Blanc were taken to California in the early 1880’s by Charles Wetmore who was the owner of the Cresta Blanca Winery!" What to look for then when identifying a typical Sauvignon Blanc? As we have already established the description sometimes given to Sauvignon Blanc is the ‘fruit cocktail’ of all grape varieties – gooseberries, fresh green apples, asparagus, pears, melon, passion fruit, mango and chopped bell peppers. Add these to ‘cut grass, cat’s pee, nettles, currant leaves and smoke - then you have such a gamut of fragrances and flavours to really challenge your senses. All the wine regions where Sauvignon Blanc is recognised as being well established in terms of quality production will display some or many of these characteristics. So here we will concentrate on the main ones that we should expect in the creation of any quality Sauvignon Blanc wine. On the Nose: Practically the complete range of green fruit and vegetable flavours, but should have a prominence of freshly chopped bell peppers, gooseberries and crisp green apples. Sometimes a smoky aroma will be present with underlying hints of ‘tom cat’, nettles and newly mown grass. On the Palate: Wines should always contain a certain level of acidity but with a good balance of fruit. Chopped peppers, gooseberries, asparagus, melon and freshly sliced green apples provide the base of flavours, sometimes tart but should always have a crisp clean finish. So easy here as this most generous of grape varieties gives us enormous scope. All seafood dishes with creamy or slightly spicy sauces flavoured with ginger, garlic and light chilli. Grilled fresh salmon with a light mustard crust or baked en-croute with currants. Moules Marinière with cream, garlic and lots of fresh parsley would be a great partner for Sauvignon Blanc as would all styles of vegetarian dishes, pasta and simply roasted chicken.